for $2,495,000. This building was built in 1950 on a lot size of 12.3000 Acre(s). 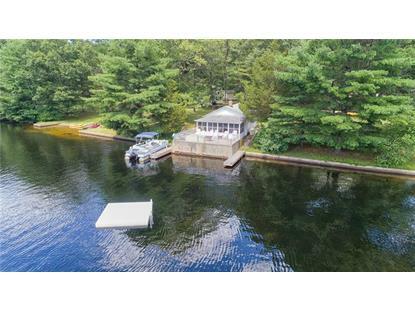 Retreat to 12.3 Acres of prime Waterfront on Beach Pond/Lake with 750' of water frontage. From 1 the property was established as Camp Ainola and later acquired by a private family that has since enjoyed the property as a family compound. The property has been lovingly renovated and maintained to reflect the original rustic feel, representing a simpler time of days gone by. 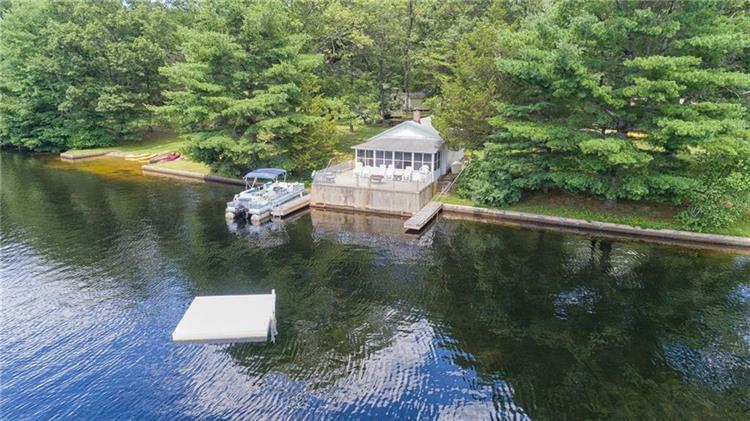 Included are 2 homes, 4 garage bays, 10 Cabins, 3 storage buildings, 1 Sauna, 1 Sandy Beach, 2 floating swim rafts, 2 boat docks (25ft) and a private boat launch. A grassy common area is cleared for campfires, shuffle board and recreation. This spring fed lake is known to be one of the cleanest in New England with much of the shoreline comprised of undeveloped state forest. It is 459 acres, 3 miles around, 1 mile long, 65ft deep and spans the south central RI/CT state border. Ideal lake for all types of water sports (motorized and not - water skiing, paddle boarding, kayaking, wave runners, etc. ), excellent fishing (bass, pickerel, walleye, and stocked with trout). Arcadia & Pachaug State Parks (40, 000+ acres of forest) are adjacent to Beach Pond with boundless trails for hiking, biking, horseback riding, cross country skiing.Convenient access to major cities: Providence 35 mi, Boston 85 mi, New York 152 mi. Ocean beaches 25-35 mi. Year round or seasonal living - Zoned 'Resort' a truly unique property with many possibilities. Offered as a package but also available independently.